For decades, Mercedes-Benz has been recognized as one of the most prestigious brands in the world – and that makes it all the more unfortunate when dings and dents makes a model (new or vintage) look old and battered. Fortunately, Paintless Dent Repair (PDR) can help your Mercedes-Benz start looking like new again. Paintless Dent Repair is a special process that allows technicians to remove dented parts and fix them from behind. By doing so, they can avoid damaging your vehicle’s original paint job. There are no chemicals, no bonding agents, and no need for a new coat of paint once the job is done. PDR is often used by dealerships when their vehicles are dented before sale. They don’t like people knowing it can happen, but PDR is so effective that most buyers never realize that their vehicle was damaged in the past. When Can You Repair My Mercedes-Benz? As soon as you call! But really, we have our own shop on Atlanta Highway. 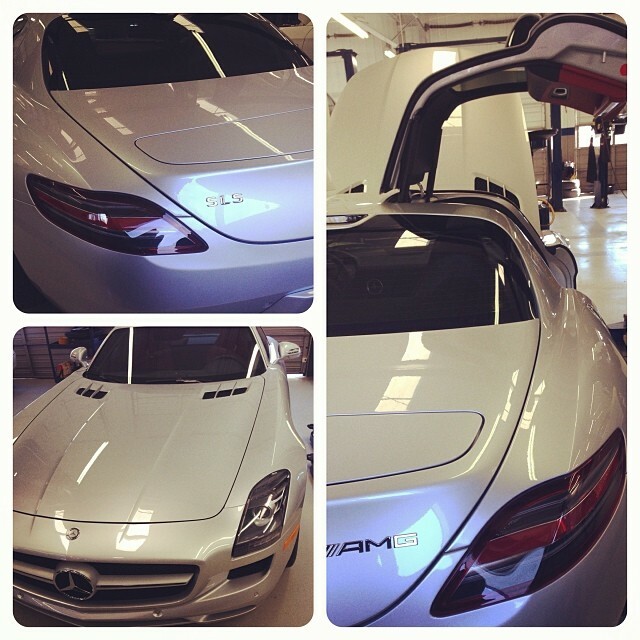 And since we focus *only* on dent repair, we are fast and flexible on our repairs. Give our shop a call and we’ll be able to provide for work that will last the lifetime of your care while suiting your schedule for today. *Disclaimer – EZ Dent is not affiliated with Mercedes-Benz or authorized Mercedes-Benz dealerships. For more information, or to schedule an appointment and say goodbye to those dents, contact EZ Dent today.